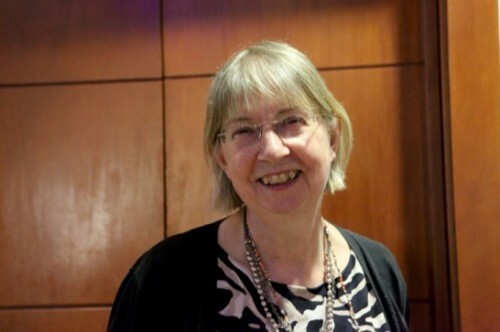 Louise Ross has recently retired as the manager of the Stop Smoking Service in Leicester, a city in England, but continues to be active in tobacco harm reduction. The Leicester stop smoking service was the first in the country to go ‘ecig-friendly’ on No Smoking Day 2014. Louise says: “One of the most important aspects for us in this developing field of harm reduction has been to listen to people when they tell us what worked for them. At the same time as being appalled at how readily, deviously and arrogantly some commentators and researchers have undermined the public’s confidence in vaping, we hear daily from people who desperately wanted to stop smoking that this worked for them, and that’s what they want to use. If this revolution is to be maintained and expanded, organisations with power and influence need to stop sabotaging it”. This exercise is about inviting, prompting and encouraging people from a diverse range of backgrounds to say, very simply, what questions they want to see answered by research. Look back, but looking forward too, March 2018 (marking Louise’s retirement). Submission to Australian Parliamentary Inquiry into e-cigarettes and personal vaporisers , July 2017. The key difference that we see among service users who have switched to vaping though is their increased confidence in their determination never to smoke again. Most have tried many, many times before, with medicinal products, or by willpower alone, and have relapsed to smoking. Vaping has made a difference that has taken them (and often their families) by surprise. When horror pictures top-trump evidence: a lose-lose situation, Counterfactual, March 2016. Alternatives to smoking, Nursing in Practice, February 2016. “One of the biggest concerns among respected tobacco control and public health experts7 is that the public are being misled by scare stories into thinking that vaping is more hazardous than smoking. Therefore, to support nurses to contribute to public confidence in the use of clean nicotine-delivery devices, here is an A-E-I-O-U on how to discuss e-cigarettes with patients – Advice, Encouragement, Information, Opportunity, Understanding. “The antipathy towards nicotine needs to stop if we are to help smokers quit. That nicotine can be enjoyed safely is an uncomfortable concept to many, and is arguably at the heart of this debate. Demonised for decades because it was an integral component of a deadly product, combustible cigarettes, nicotine has been likened more recently not to cocaine but to caffeine  in terms of its addictive properties. […] There really are no more excuses for healthcare professionals to be dismissing e-cigarettes outright and scaring people about them unnecessarily. The sooner we embrace this new technology, more smokers will benefit from leaving cigarettes behind. What does ‘ecig-friendly’ really mean? – Counterfactual blog posting, July 2015. “Recently I’ve thought of the advisor/service user relationship more like a coach with a sportsman or woman in training – the coach is there to help set goals, to improve performance, to urge on, to get the person back on track when they despair. Mostly, though, a coach can see the desire for success in their trainee’s eyes, and they don’t deter them or send them away saying they can’t help them. An e-cig-friendly stop smoking team will welcome anyone who wants to stop smoking, and they will work with them, listen to them, encourage them, and respect them. It’s the way of the future. The main aim though, it must be remembered, is to give people with poor mental health the same opportunities as those in the general population – a chance to stop using smoked tobacco (which harms health and can take up almost all the disposable income of people with mental health problems). We know there are other Trusts wanting to know how it goes, and I’m proud that we can show the way. Somewhere, something has gone terribly wrong, and the opportunities presented by alternative nicotine delivery devices, so promising earlier in the year, have been casually damaged by a risk-averse body of people whose responsibility it is to improve health, and by a section of the media industry that sells more papers by frightening people. We ran a hugely successful E-cig Learning Forum in January, and one of the highlights was a Vapers’ Panel, where Leicester vapers told the audience about their experiences, and answered a bombardment of questions from the floor. At the start, we did a polarisation check – how many of the 100 attendees were broadly in favour, broadly against, broadly on the fence. It was about a third for each. We did it again at the end, and almost all the audience voted in favour. Ross Manager of Leicester City Stop Smoking Service speaking at the GFN Dialogue at Leicester Tigers Rugby Club. Louise Ross from Leicester Stop Smoking Service talking to Kevin Molloy about the success of using e-cigs in smoking cessation.